Are you still pushing buttons and adjusting knobs with your fingers to brew your favorite coffee? If so, then this voice-controlled solution could be the next project on your list. 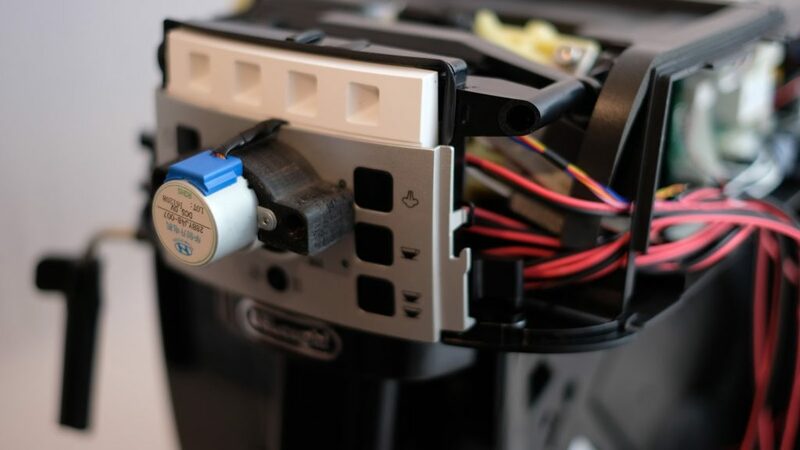 To accomplish this hack, a rather high-end coffee maker was disassembled and modified, adding an Arduino Nano to press buttons, along with a small motor and driver board to adjust its dial. 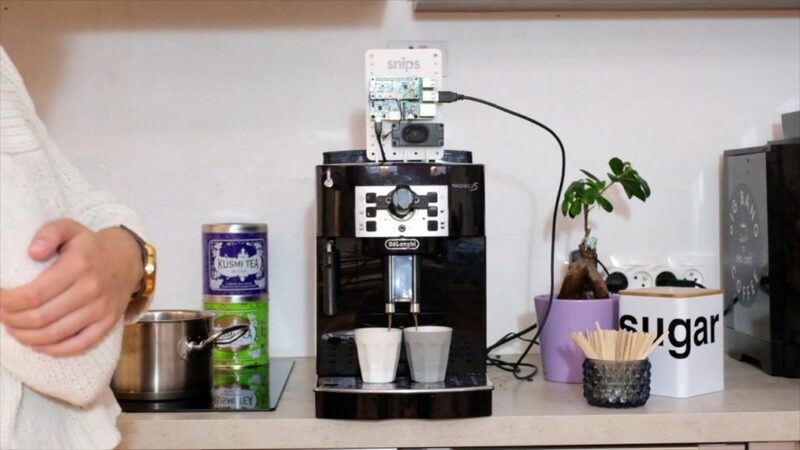 Voice control is provided via Snips software running on a Raspberry Pi, which passes the pertinent commands along for coffee making. When the devices around you no longer require a lengthy operation manual, but rather, require only a voice command, this unlocks an environment where technology disappears into the background, so that you can regain the freedom to spend quality time with the people you care about. That is in fact our mission at Snips, to make technology disappear. Case-in-point: this voice-activated coffee machine. You can ask it to make you a double espresso or a flat white, to pour you some hot water or even to turn itself off. It’s purely a demo project, but at our Snips office in Paris, we’ve grown used to the convenience, and so we wanted to make it as easy as possible for anyone interested to replicate it at home. Code and modification instructions are available on the Snips team’s blog post, while the brewing results can be seen in the demo video below.